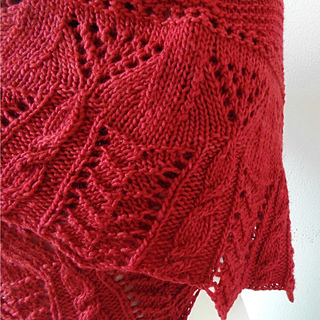 Palladian is a wide crescent-shaped shawl with a lace and cable patterned border that is packed with shapes and forms reflecting neo-classical architectural features. 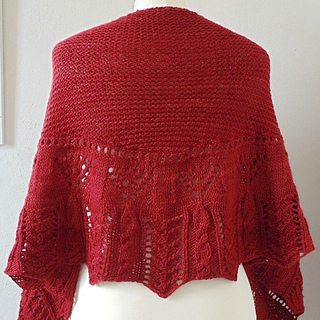 The shawl then flows comfortably into an easy-knit garter stitch main body, all bordered by eyelets. 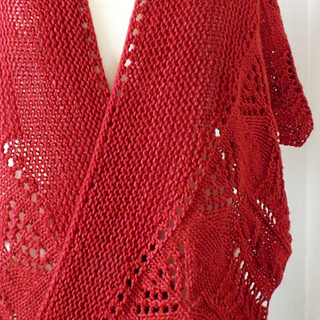 This design starts with a long cast on, and is worked from the bottom up, in one piece. 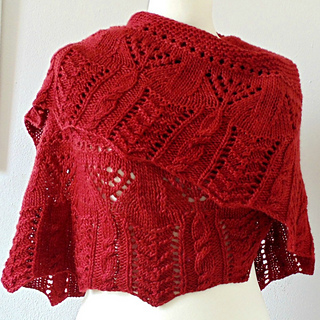 The shaping of the main body of the shawl is achieved with simple no-wrap short rows. 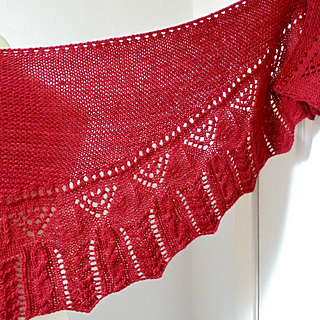 The pattern is both written and charted for the border, so you can work from whichever instructions you prefer. The garter main body is worked from written instructions only.